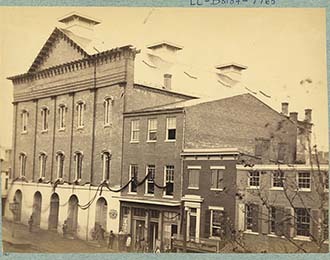 Ford’s Theatre dramatically changed the country more than any other venue in the country. This is where in April of 1865, John Wilkes Booth became the first Presidential assassin in American history, killing Abraham Lincoln while he was enjoying the comedy Our American Cousin. Open 7 days a week from 830am-500pm, and located at 511 10th St NW. Fully experience Abraham Lincoln’s last day on our own Lincoln Assassination Tour and end up at Ford’s Theater, where you can go inside and see for yourself where it all happened.